Baby's diaper rash gets instant relief with this barrier-forming natural diaper rash cream. 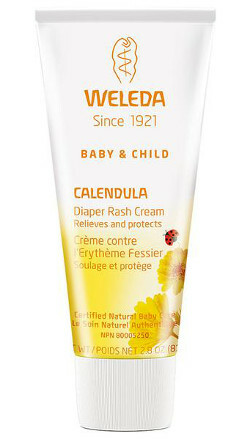 It's gentle, effective relief and protection for delicate skin that's tender from a distressing diaper rash. Ingredients: Zinc oxide 12% Inactive ingredients: Beeswax, benzyl benzoate, benzyl salicylate, calendula flower extract, chamomile flower extract, geraniol, glyceryl linoleate, hectorite, lanolin, limonene, linalool, sweet almond oil, sesame seed oil and water.